Some fresh music for the blog. 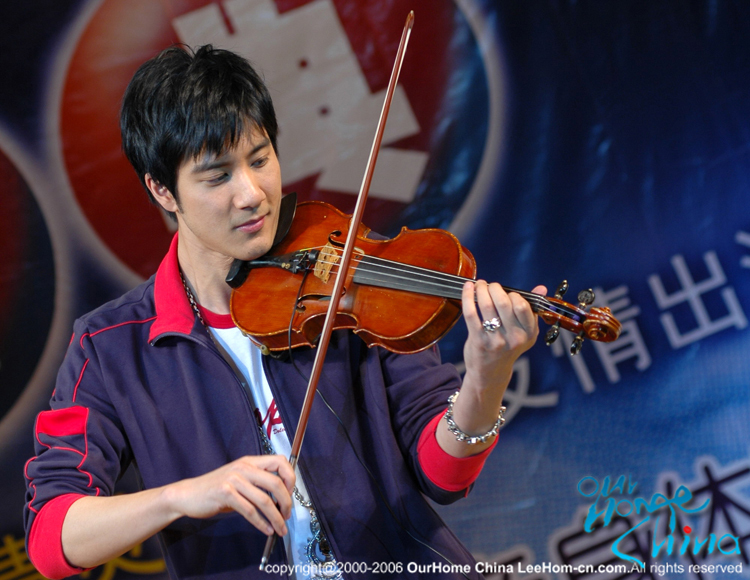 This time it's a ballad from one of my favorite Chinese artists, 王力宏 (Wang Lee Hom), called "一首简单的歌“ which means "a simple song". My favorite part is at 1:31 (on the backwards timer) when he does the river motions. So smooth! He's very handsome, but not just a pretty face. He plays several instruments and he writes most of his own music, although I do recognize that the verses of this particular song sound similar to Michael Jackson's Heal the World. I know his younger brother, who goes to MIT and is my year, though we don't hang out. Still, it's kind of cool that I'm somehow connected to this big Asian superstar right? :D Enjoy the music. This entry was posted on Thursday, May 17th, 2007 at 9:19 pm	and posted in Uncategorized. You can follow any responses to this entry through the RSS 2.0 feed.